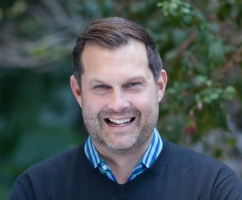 As AVP of Contact Center Product Marketing at RingCentral, John Finch is responsible for the strategy and execution of the company’s global customer engagement marketing efforts. John has held leadership roles in product marketing, product management, and sales with leading technology companies. Prior to joining RingCentral in 2017, he was Head of Product Marketing at Dialpad where he was responsible for product & content marketing. Prior to that, he led product marketing at Serenova and Genesys, launching enterprise cloud-based contact center solutions into the market. John also spent time as an entrepreneur working to disrupt the fine art market by building a technology platform that brings artist and collectors together directly. John has also held leadership positions at Avaya and AT&T. John holds a BS from the University of Minnesota Carlson School of Management and has studied Art History at Stanford University.